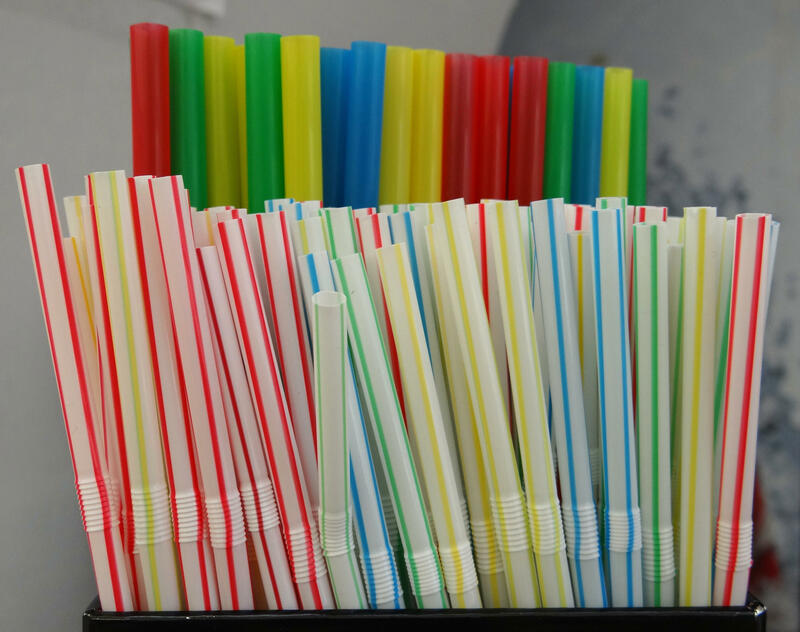 Straws are among the plastic ware that would be banned under measures moving through the state Legislature. Hawaiʻi would be the first state in the U.S. to ban most plastics at restaurants under legislation that aims to cut down on waste that pollutes the ocean. Dozens of cities across the country have banned plastic foam containers, but Hawaiʻi's measure would make it the first state to do so. The liberal state has a history of prioritizing the environment — it's mandated renewable energy use and prohibited sunscreen ingredients that harm coral. The Hawaiʻi efforts would be stricter than in California, which last year became the first state to ban full-service restaurants from automatically giving out plastic straws, and broader than in Seattle, San Francisco and other cities that have banned some single-use plastics. Activists believe the foam container measure has a better chance of passing in Hawaiʻi. Plastics also contribute to climate change because oil is used to make them, said Stuart Coleman, Hawaiʻi manager for the Surfrider Foundation. The group said in written testimony that it's encountered difficulties coping with varied local regulations and it wants the state to create a consistent standard. Two main counties — Hawaiʻi and Maui — have already adopted plastic foam bans. Maui's took effect on Dec. 31, while Hawaii's takes effect on July 1. The president of Island Plastic Bags, a Hawaiʻi company that makes plastic bags, said the legislation would prohibit his company from selling trash bags to nursing homes and hospitals as well as restaurants and hotels.